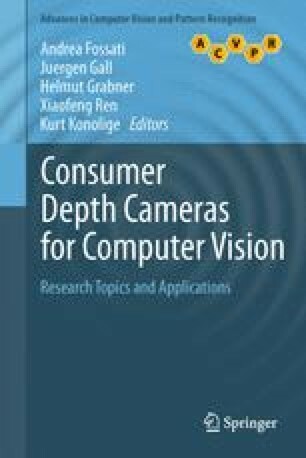 In this chapter, we present a home-monitoring oriented human activity recognition benchmark database, based on the combination of a color video camera and a depth sensor. Our contributions are two-fold: (1) We have created a human activity video database named RGBD-HuDaAct, which contains synchronized color-depth video streams, for the task of human daily activity recognition. This database aims at encouraging research in human activity recognition based on multi-modal video data (color plus depth). (2) We have designed two multi-modality fusion schemes which naturally combine color and depth information from two state-of-the-art feature representation methods for action recognition, namely, spatio-temporal interest points (STIPs) and motion history images (MHIs). These depth-extended feature representation methods are evaluated comprehensively, and superior recognition performance related to their uni-modal (color only) counterparts is demonstrated.